L’ecole Buissonniere is a slow moving French period drama, one that is perfect for a cold, drizzly Sunday afternoon. This is not intended as a criticism and the film acts in the same way dunking a freshly ripped piece of bread into a steaming bowl of stew is often the most comforting thing you can do of an evening. Directed Nicolas Vanier along with his directors of photography, Eric Guichard and Laurent Charbonnier, Vanier guides the camera contemplatively across the natural terrain of the country estate in Sologne where orphan Paul (Jean Scandel) has found himself. Adopted on an interim basis by Célestine (Valérie Karsenti) who lodges a secret that she keeps from the young boy. This is Scandel’s first performance and he is good in the role, bringing a blend steel and vulnerability that captures the characters journey from orphan to learning how to operate within a family unit. L’ecole Buissonniere translates as ‘skip school’ and the film opens up at the start of the summer so what learning needs to be done is tenuous but the film explores the sense of self well and Paul is taken under the wing of a friendly poacher, Totoche (François Cluzet). 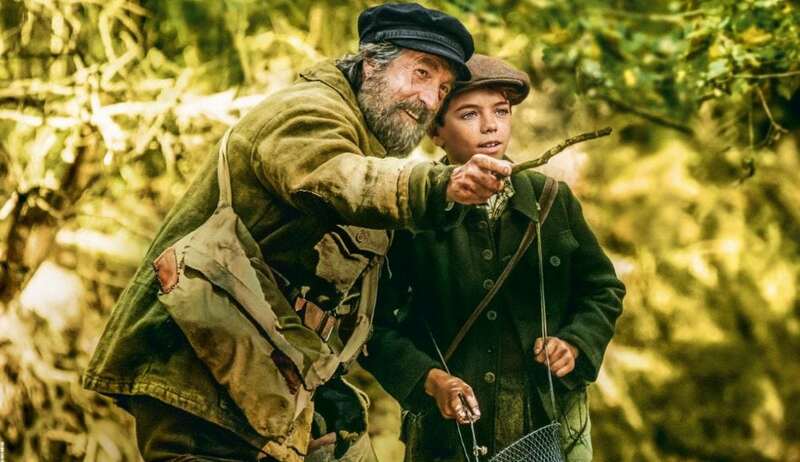 Under Totoche’s tutelage, Paul learns how to fish, set traps, identify animal markings; becoming schooled in the ways of the forest in the same ways in which children born in the village surrounding the estate would have been. There are several sub-plots to the narrative focusing around Célestine and her husband Berol (Eric Elmosnino), who are caught in a seemingly fraught and childless marriage and adding to this, Berol seems to view Paul as a nuisance. Then there is the curious life of the Count who owns the estate, Le Comte de la Fresnaye (François Berléand), who is beseeched by his own thoughts and racked with sadness over his own daughter’s death. The crux of this plot strand and how it links in with Paul is not clear until the film’s final act but it is adequately structured and I only had some lingering disappointment that the film could have better used its final 20mins, perhaps shortening the build up and adding a much more emotional ending. The film uses nature as a way in which to develop the narrative and reinforce the central premise of bonds being renewed, broken and renewed once more. The film starts at the beginning of the summer and works its way through winter until spring is nearly upon the characters and you do feel as if you have been on a journey with them. Paul’s tempestuous behaviour softens and although, in some way, he will always be the orphan we see at the beginning, the journey is an enjoyable one to go on. The film may not quite be as comforting as that steaming bowl of stew but it’s certainly a good accompaniment. I am 26 year old freelance audio visual creative and writer. My writing includes film criticism and sports writing. I am also a Media Studies teacher and have been teaching at an inner-city London school for the last four years.